I have been lamenting for a while now that Michigan hasn't caught up to the rest of the country in terms of the popularity of food trucks. Last weekend I finally got a taste (pun intended) of what some of the big cities around the country have been experiencing for a while now. 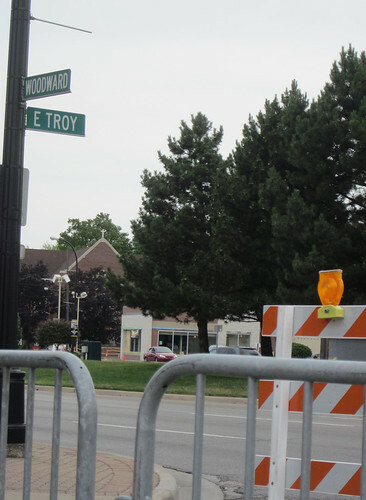 It appears as though Michigan is finally starting to catch on to the food truck trend and last Saturday, in the city of Ferndale, they shut down a section of East Troy right at Woodward and The Woodward Avenue Brewers conducted a "Truck Stop" so to speak. 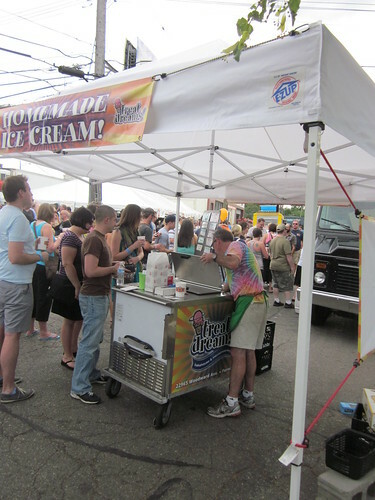 A handful of food trucks were there to sell their wares and wile the crowd with their delicious offerings. 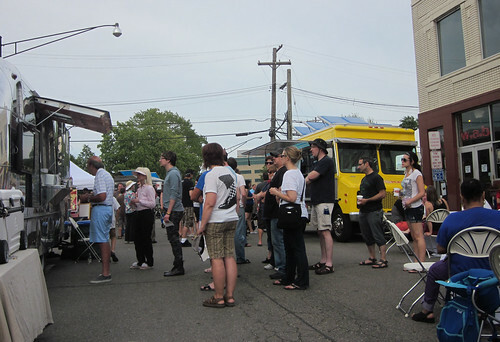 The main reason I wanted to go to this event was simply because I've never experienced the pleasure of food truck cuisine before, which is quickly appealing to accomplished chefs from around the country for the simplicity of being able to move around from place to place and not have to worry about the expenses a brick and mortar restaurant would require of them. The second reason I wanted to go was that it was advertised on the flyer that the event was dog-friendly. As a pet owner who longs for the pet-friendliness of Europe here in America, I appreciated a poster declaring pets welcome. I mean, I hate to go there, but my dogs are much better behaved in public than a lot of kids are (heck, they're better behaved than I was when I was a kid!). My husband and I like taking them to different places and putting them in different social situations because 1) it tires them out and so they are better behaved at home - where they DO tend to get in trouble. 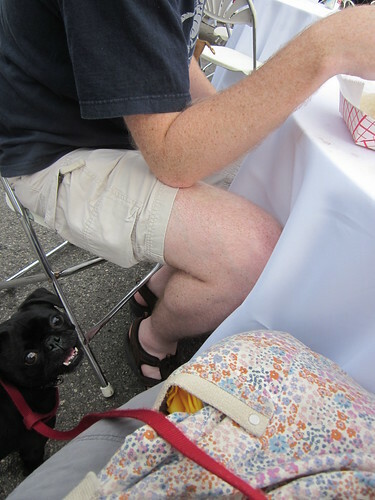 2) They like people and always relish in the attention they get when they're around a big crowd. Plus, dogs are always a good conversation starter. It's impossible to be anti-social when you have a dog. 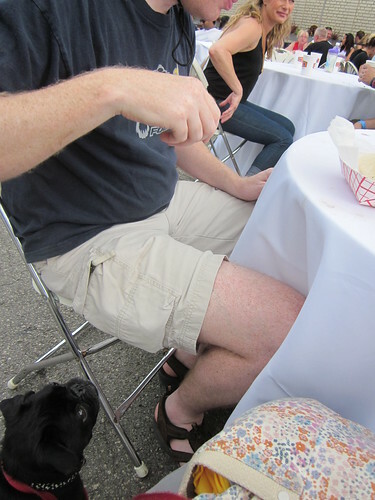 So the event was successful to me in two regards: 1) The food was phenomenal and 2) Our dogs had a good time (though, as you will see, they wished we would have shared some of the food with them). 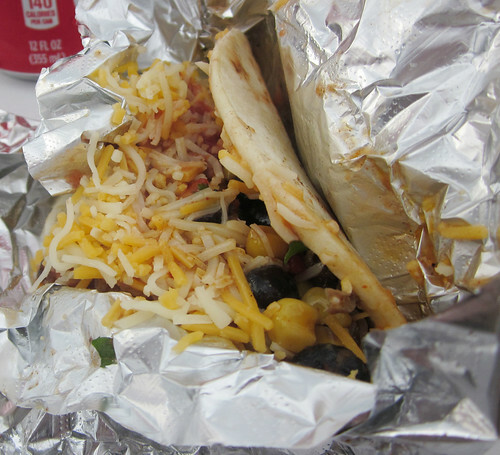 While all of the tacos were delicious, I have to tell you how smitten I was with the Korean one in particular. 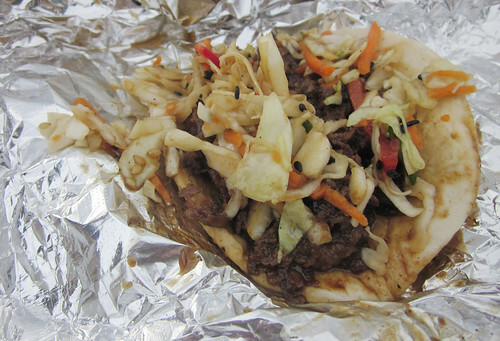 It was just the perfect blend of spicy and sweet with the added fresh crunch of the Asian slaw inside a soft, pillowy tortilla. I still dream about that taco. And Frank is still ticked off with us that we didn't share with him. The second place we went to was Ned's Travelburger. Ned makes his burgers so they're shaped like a sausage and then sticks them in a hot dog bun instead of a hamburger bun to make them easier to eat and also so the condiments can sit alongside the meat and you can get "the best bite in every bite". The burger I ordered was the TravelPiggy and had ground pork, Dearborn ham, swiss cheese, and pickles. After eating this burger, I have to agree with Ned. 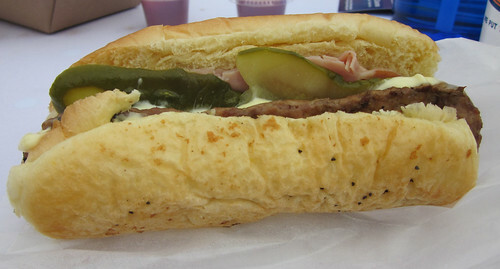 A burger shaped like a hot dog is much easier to eat. As if all that food we just consumed wasn't enough, we couldn't leave without stopping by the local ice cream place, Treat Dreams, that makes probably the best (and most unusual) ice cream in the metro Detroit area. I ordered an ice cream sandwich with lemon basil ice cream between two sugar cookies. Oh Heavens. To say that was way better than any chocolate and vanilla ice cream sandwich you buy from the freezer case at the grocery store is an understatement. 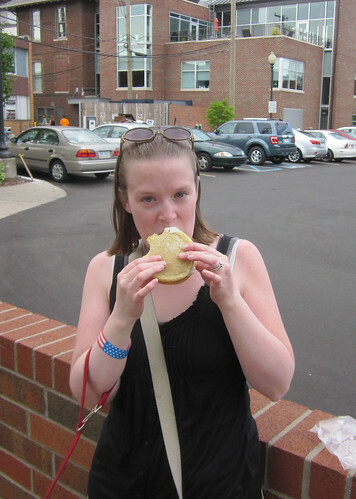 Don't bother me when I'm eating my ice cream sandwich! 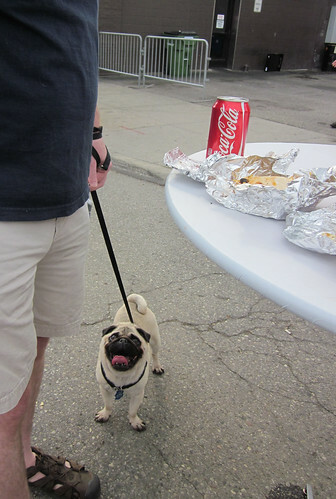 Despite the fact that they didn't get to sample any of the food, the pugs basked in the glow of all the attention they received from doting dog-lovers. When we finally left, they immediately crashed in the car, tired and happy from their evening of people (and food) watching. I hope more events in the future advertise dog-friendliness. When well behaved, they bring such happiness to the people around them. Maybe it's just me, but I think it's impossible to be unhappy when you're around a dog. The ice cream sandwich looks so good! 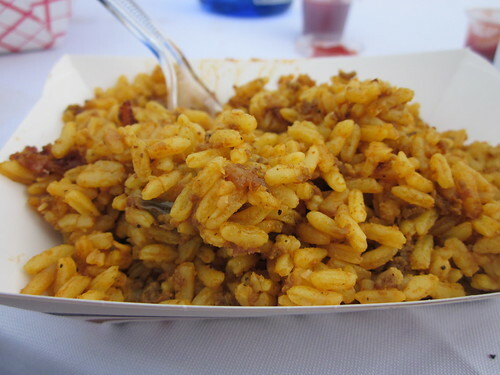 Enjoyed all your food truck tastings. You two sure ate a lot. 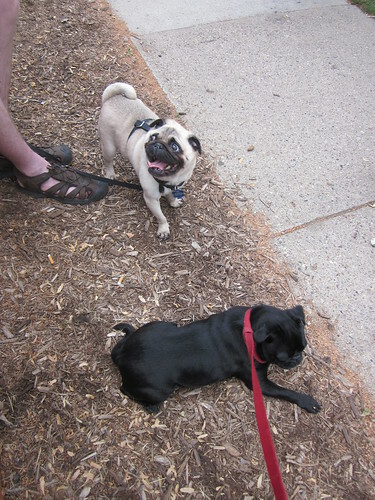 Glad the pugs had a good time too. Oh I agree with Jama, that ice cream sandwich looks heavenly. What a cool event. As far as I know, my area is still void of food trucks. 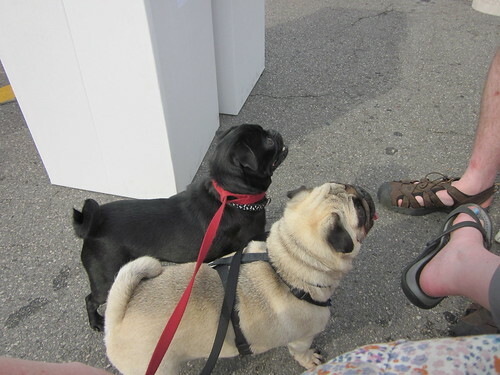 :( How nice it was that the pugs got to enjoy the outing too. What a great event. 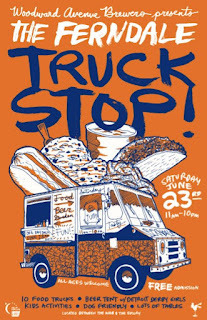 I'd love to stop at a few Food trucks like you did. 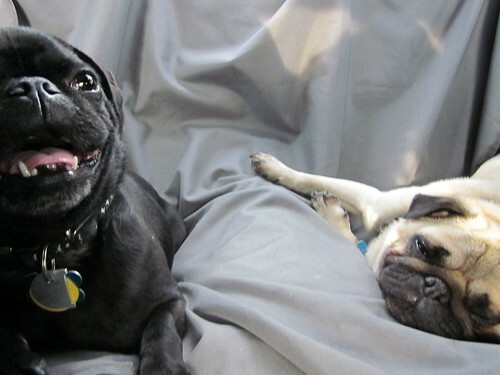 The pugs are adorable. I think they should come to suburbia like the ice cream man! 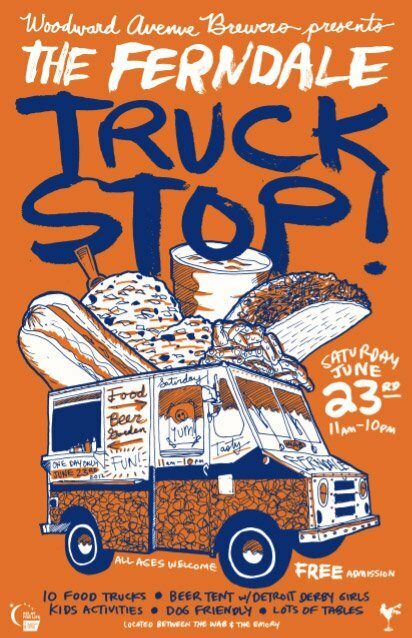 I love food trucks and especially sampling from lots of them. Looks like it was a great time! omg frank and guenter are too cute. i am voting for more of them on the blog. glad you had fun with food trucks. we've had them where i am for awhile and they're still fun. 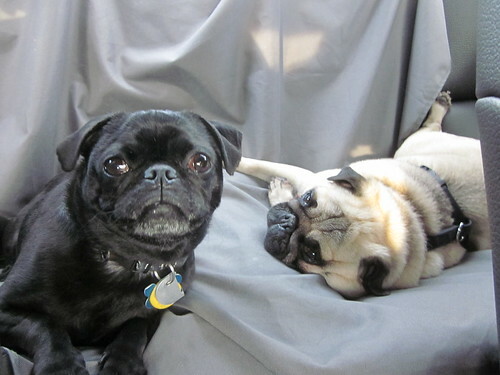 I love seeing so much of the puggies. Mine are so miserably hot right now, it is hard to take them anywhere. I would love for one of these events to visit my area. We have had fish and chip vans and that's about it. I drool when I watch these shows on tv. What a treat it would be. Thanks for sharing your feast. 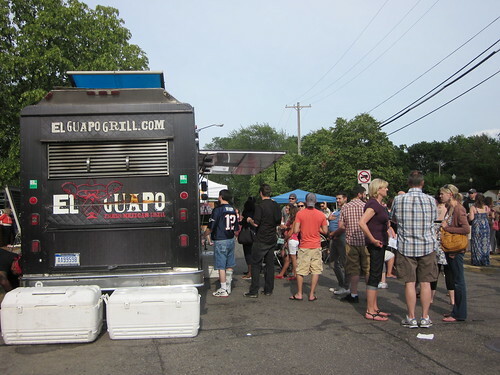 A food truck stop is a wonderful idea and it sounds like you had so much fun. 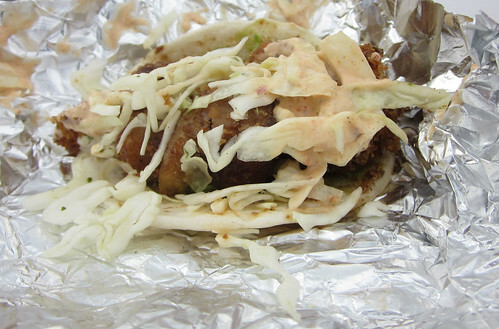 I live in NYC and last year I took my foodie SIL on a food truck tour that was a blast. We ate so many new and delicious foods. Glad your dogs could go too! 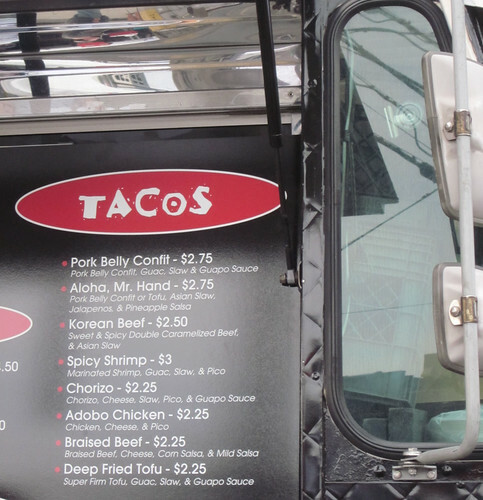 Those are some unusual combinations, but I think I could go for a Korean taco!